It’s hard to believe anyone can make diabetes poetic. 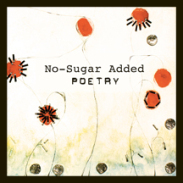 But that’s exactly what the Diabetes Hands Foundation did with a book of poetry called No-Sugar Added Poetry, A Diabetes Poetry Book. One of my favorite poems in the book is “Ode To A Perfect Pancreas” by Alan Eastwood. “What Matters” by Kerri Morrone Sparling is another favorite. The Diabetes Hands Foundation has an online community for people affected by diabetes called TuDiabetes. TuDiabetes lets people post their own haiku poems on diabetes called haiku-betes. The proceeds from the book support the Diabetes Hands Foundation. Now that’s using your words to raise money for diabetes!